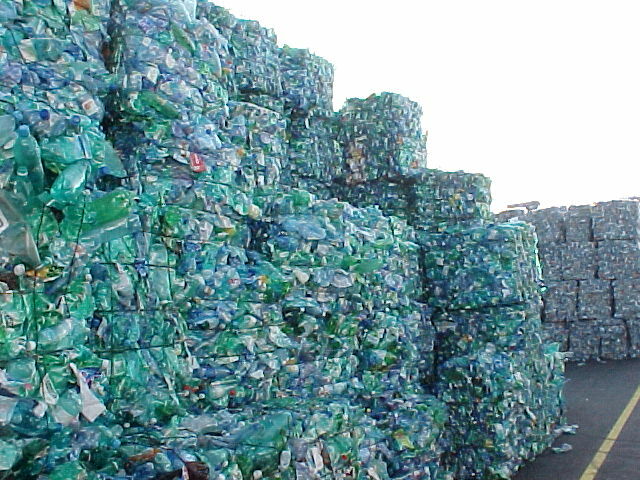 After PET plastic containers are collected they must be sorted and prepared for sale. The amount and type of sorting and processing required will depend upon purchaser specifications and the extent to which consumers separate recyclable materials of different types and remove contaminants. Collected PET plastic containers are delivered to a materials recovery facility to begin the recycling process. 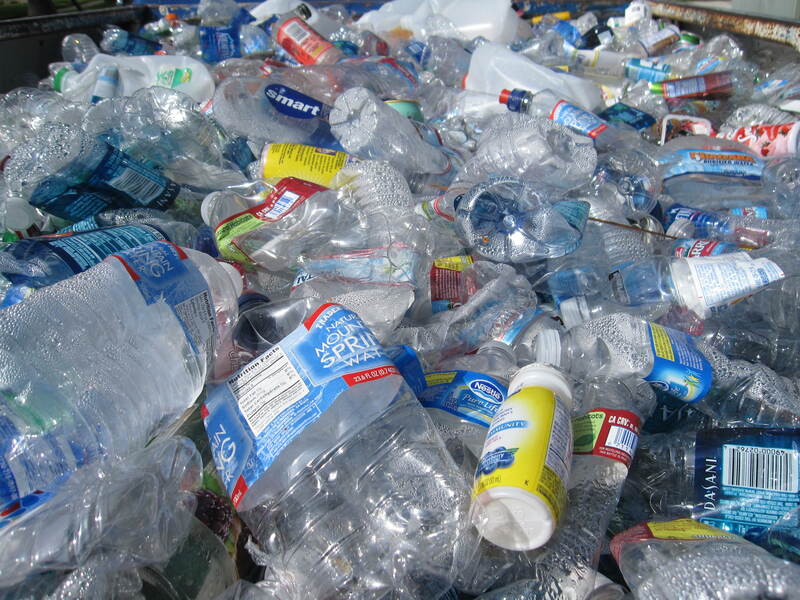 Sorting and grinding alone are not sufficient preparation of PET bottles and containers for re-manufacturing. There are many items that are physically attached to the PET bottle or containers that require further processing for their removal. These items include the plastic cups on the bottom of many carbonated beverage bottles (known as base cups), labels and caps. Dirty regrind is processed into a form that can be used by converters. At a reclaiming facility, the dirty flake passes through a series of sorting and cleaning stages to separate PET from other materials that may be contained on the bottle or from contaminants that might be present. First, regrind material is passed through an air classifier which removes materials lighter than the PET such as plastic or paper labels and fines. The flakes are then washed with a special detergent in a scrubber. This step removes food residue that might remain on the inside surface of PET bottles and containers, glue that is used to adhere labels to the PET containers, and any dirt that might be present. Next, the flakes pass through a “float/sink” classifier. During this process, PET flakes, which are heavier than water, sink in the classifier, while base cups made from high-density polyethylene plastic (HDPE) and caps and rings made from polypropylene plastic (PP), both of which are lighter than water, float to the top. In some cases reclaimers will further process clean flake in a “repelletizing” stage, which turns the flake into “pellet.” Clean PET flake or pellet is then processed by reclaimers or converters which transform the flake or pellet into a commodity-grade raw material form such as fiber, sheet, or engineered or compounded pellet, which is finally sold to end-users to manufacture new products.